For frequent travelers who just can’t live without having a computer with them, the netbook has become an essential device as it is extremely portable. However, its portability has sacrificed a few important features. --One of which is battery life. 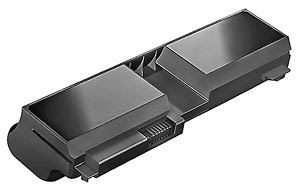 Netbooks are usually sold with 3-Cell Li-Ion battery that when fully charged can last up to 3 hours on normal usage. But if you are looking for ways to extend your netbook’s battery power further, then you came to the right place. The tips that I’m going to share might sound “common sense” to some of our “computer expert” readers, but for the benefit of the non-experts out there, these could come in handy. Using resource-hungry applications means using more battery power. Try out different lightweight desktop environments, window managers, and desktop applications; or if you know how, ditch your X window session and use the terminal while surfing the web with text-mode browsers, or while checking the mail with a text-based email client. Power management options will let you control some of your hardware activities like when changing sleep and brightness settings. One of the important rules to remember is to always turn the brightness down when on battery power. Connected USB devices like iPods, mouse, or flash drive can quickly drain your battery juice, so it’s better to eject them if they are no longer used. If you are just typing a document or editing photos and will not be using the Internet, you should turn off the built-in wireless adapter because it’s just consuming unnecessary battery energy. PowerTop is a user-friendly tool that monitors each and every application and tells you which of them are causing your computer to put away more power. It also provides you with tuning suggestions to achieve low battery power consumption. To those who have brighter ideas than mine on conserving or improving battery power on Linux netbooks, don’t hesitate to share it to us thru comment. You can use WattOSPM which is a GUI power management application for setting Laptop-mode-tools, x-backlight and powersaving values! Fab tool once you learn all the correct settings! Install cpufreq-selector and control your CPU dynamic frequency switching thresholds. Do this carefully as there is a fine line between saved cpu/fan volts and extending the 'race to idol' excessively. Embrace using Ramdisk caches to prevent the HD spinning up/writing!